For months now (eep! ), I have been struggling to come up with things to write about for this site. In my mind, I’ve drafted posts with titles like, “On Travelers Not Traveling” and “C is for Cookie… and Complacency”; often the inspiration for these kinds of posts—ones in which I ruminate about what life has been like for us in Playa del Carmen over the last 6 months—strike while we are out running errands or out in the world (read: when I can’t actually sit down and write!). In those moments, I can so perfectly see what it is I want to express. And then we get home, and I feel cotton-headed with a leaden tongue and trying to get words on the page feels like pulling teeth. At times it feels like I have so much to say about Playa and where we are (Psychologically? Existentially?) that I don’t know where to begin. And then other times, it feels like I have nothing that is of any interest to say to anyone because the current version of our life is kind of, well, boring. I know how crazy that sounds: We live in a place that most people come to in order to unwind and take activity-packed vacations, and yet this picture-perfect paradise has really become our new normal. Sometimes I feel SO GUILTY because I know a lot of people think we must be living the dream—that we are in exotic Mexico and our days are filled with adventure and exploration. And yet, over the last six months, I’d wager that our lives have looked more similar to yours than not. We walk our dogs, we cook, we watch Netflix, we do grocery runs to Walmart and Sam’s Club, we go to the movies. We have a routine and favorite restaurants and a small circle of friends we get to see more than once every few years. We have been working (Tony on designing websites, me on managing AdWords accounts for various clients)… a lot. The truth is that apart from the fact that we bumble along in Spanish through many otherwise routine activities, we just haven’t been doing very much that is all that blog worthy. Playa del Carmen (and the Yucatan peninsula in general) is a portion of the country that is just crammed with activities and places to explore, and yet we haven’t taken advantage of any of them, really. Snorkeling with sea turtles in Akumal, visiting the ruins & the beach of Tulúm, climbing the ruins in Coba, checking out the lake of seven colors in Bacalar, visiting the cute colonial town of Valladolid, visiting frickin’ Chichen Itza, spotting flamingos at Río Lagartos, going scuba diving with bull sharks (or really, go diving at all…), kayaking through the waterways of UNESCO heritage site Sian Ka’an biosphere, plunging into icy cool cenotes (which are only found in this part of the country), gawking a the yellow-bricked buildings of Izamal… I could fill a dozen blog posts with all the things we HAVEN’T done, but I suspect that wouldn’t be very interesting. It’s easy to feel like we’re the worst kind of travelers because we find ourselves in an area perfect for exploration and yet we choose to read novels and laze about in our rooftop hammock instead when we’re not prioritizing the work we have coming in. Sometimes I wonder if I’m suffering from low-grade depression or something because I can’t find the motivation to do pretty much any of the things that people save up their two weeks of annual vacation to do and that we just take for granted. Often I feel caught between two worlds—content and smugly satisfied with the quiet (but comfortable) life we have carved out for ourselves; yet at other times I resent the fact that this comfort stems from life being predictable and that we have allowed ourselves to get complacent. We could be exploring our own backyard, but we still find ourselves dreaming of far away lands instead and talk about all the things we’ll do “some day”. We miss the freedom of literally having nothing but our backpacks and each other and being able to hop on a plane whenever the urge strikes us. At the same time, the thought of shuffling up our routine and being somewhere unknown has become nearly as daunting and overwhelming as before we took that pivotal first flight to Tokyo. In many ways, our life looks more like the one we left than the one we created for ourselves while traveling—it’s just physically somewhere different. I will say, however, that we are way happier now than we were then; we may be working a lot, but we both genuinely enjoy what we do and we are very happy being self-employed and getting to work from home. If given our druthers, we’d still be bouncing around the world while we work, but those are not the cards we’ve been dealt, so for now we’re playing the hand we have as best we can. I remarked on a friend & fellow perpetual nomad’s blog the other day that I often feel that I’m my best self when Tony & I are traveling. I don’t know why, but it’s when I’m my most confident and carefree. It’s when I feel the most alive and the most inspired, when I have boundless energy and insatiable curiosity and am the most capable of being in the here and now. There are so many perks to having a home base and really getting stuck into a place, but when Tony & I are on the road, that’s when I feel it—in my bones, in my gut, in my heart—that this is the life we are meant to be living. I feel lighter and happier, the way you do when you undertake the things you are meant to do. For the past week, my parents have been visiting us in Playa del Carmen and, for the next two weeks, they will be graciously and most generously looking after our dogs (just as they did last time), as Tony & I gallivant around Colombia. I find that life often feels like a Mobius strip, with old patterns from the past reverberating into the future… Now, more than ever, it feels like we have come full circle: though we don’t get a year or two of unfettered travel, we do get two weeks of it just being the two of us—and our backpacks—setting foot somewhere entirely new with no agenda other than to enjoy and observe the world. All that said, it hasn’t been easy to slide back into the backpacking mentality. If you follow the 20YH Facebook page, you’ll know that we bought these tickets to Colombia months ago. In the intervening period between then and now, I have agonized over itineraries and schedules, largely ignoring and forgetting all of the laissez-faire lessons about going with the flow and letting serendipity guide us as rather than my Type A tendencies that we have (supposedly) learned during years of traveling. I put on my PhD cap and went into full-bore researcher mode, so that we could have our entire trip planned out in minute detail before we ever set foot in Colombia. I felt paralyzed and overwhelmed by the numerous choices on offer for hotels and places to eat and tours to take and sights to see and would spend hours reading reviews on Trip Advisor, which only served to confuse me more about what was worth our time and money. I scared myself reading posts about how dangerous Colombia secretly still is (NB: I can’t remember the blog where I read this post, but perhaps that’s for the best…). I lamented to Tony that I felt like I didn’t even know how to travel anymore and said maybe we needed to go somewhere less threatening, somewhere where we already knew how things worked and what we were doing. Was it too late (and too expensive) to look for flights to somewhere in Asia instead? But, of course, one of the things we long-term travelers love is being challenged. Don’t get me wrong: looking at our life the last six months in Playa, I’ll be the first to tell you that sometimes you want things to be easy, and certainly not every day needs to be a struggle. There is absolutely no shame in that. But there is a thrill that comes from being pushed outside of your comfort zone, and I think it’s those moments that really remind us of who we are and what we are capable of. So, we decided to stick to Colombia—the opportunity to continue to use the Spanish we’ve been slowly cultivating over the last year AND finally visiting South America (our fourth continent!) was just too great to ignore (even if we do continue to pine and sigh for Asia like mooney-eyed schoolboys). The day before we departed, I was a bundle of nerves. We ran around doing last minute errands like buying bus tickets to the airport and printing out our boarding passes and packing our bags—the latter of which is an activity that we used to be able to do in under 30 minutes but took us closer to 2 hours this time. I sat down and wrote a list of the order in which we would do things on D(eparture)-Day: the time our friend would pick us up, the time we would arrive at the bus station, the time we would get on the bus, the time we would reach the airport. That helped calm me down and make me feel like I was back in control. But then, on Friday morning, our friend messaged us to say the car was in the shop and he wasn’t going to be able to make drive us to the bus station after all. I had (obviously) worried about this possibility for days beforehand, and yet, when we saw his message, we immediately shrugged and said, “No biggie, we’ll catch a taxi instead.” What else could we do? We wound up asking our next-door neighbor on a whim if she could drive us, and she kindly agreed. We made it onto our bus, then made it to the airport where we checked in for our flight, paid our FMM fee for Mexico (currently $390MX, for those of you planning a visit in the near future), wandered around duty free, and then boarded our plane to Bogota. We were excited, but also oddly zen; maybe after so long not traveling, our brains couldn’t really believe that we were off to somewhere new and our world was about to be upended on its axis. I felt relaxed because I felt like the hardest part of the day was behind us. Why I thought the travel leg within Mexico—a country we’re quite familiar and comfortable with at this point—would be the most challenging, I have no idea. Obviously, I was wrong. Upon reaching Colombia, what followed was one of the most ridiculous travel days we have ever had on the road. It was a series of events that made us feel like complete newbies rather than veteran travelers, and all took place in the span of about three hours. Sure enough, there were windows with maple leaves posted all over them. Another immigration officer came over and started asking me more questions (entirely in Spanish) and then eventually said that I would have to pay a fee of 160,000COP! It turns out that this is a reciprocity fee charged only to Canadians that has been recently instituted… despite my extensive research, I had somehow managed not to see this information anywhere. This is the first time in nearly four years of travels we have been hit with a surprise visa/entrance fee, and not a small one either—160,000COP is about $47USD! Thankfully they accept credit cards! Despite not knowing that I would have to pay nearly $50US to enter Colombia, I did know that the ATMs with the highest withdrawal limits were located on the departure floor rather than the arrivals floor at the airport. We always withdraw cash upon arriving in new countries using our bank card rather than changing money because you get the best rates this way. We tried the Citibank ATM on the 2nd floor but our attempt to take out a million Colombian pesos was denied. We figured this was too high a value, so tried the amount they suggested of 700,000CP instead… only to be told that the machine didn’t have enough/the right bills to give that much money. So we went to a different machine, where the withdrawal limit appeared to be 300,000CP… or $87US. We were able to get cash there, but when we tried to take out more money from it—or any other ATMs—we kept getting errors. So, we decided we’d have to make our way to our hostel with less than $100US, and call our bank to see what was up when we arrived. Except, once we reached the designated stop that had been given to us from the hostel, Tony checked our GPS and saw that we were literally nowhere near our hostel at all. Without a local SIM card, we couldn’t call the hostel to figure out what the deal was, so we found another worker and asked if she was familiar with our hostel… She wasn’t and confirmed that we were indeed where our GPS said we were and that given the hostel’s address, it was where we thought it should be (read: not close to us at all). She very kindly looked up the hostel online on her phone and then called them to get their address and figure out what the confusion was about… after about 15 minutes, we realized that, we had only been given a fraction of the directions. Our new Colombian friend wrote down the remaining steps for us to get to the hostel, including a quickly sketched map and then wished us safe travels. We wound up needing to catch THREE MORE BUSES in order to reach our hostel. But reach it we did! I cannot believe what an insane day of mishaps our first day back on the road wound up being. (We did call our bank when we arrived and it turns out that when we had called to tell them we’d be traveling to Colombia, they input the wrong day and so didn’t have us arriving until a day later… so they did in fact block all of those subsequent withdrawal attempts at the airport!) From surprise reciprocity fees to our bank card being blocked to not having complete directions to our hostel, in four years of traveling, literally none of those things has ever happened to us. Talk about being kept on our toes! Of course, if given a choice, I would have preferred to have had a seamless travel day, even though I acknowledge that those never make for very good stories. And, as I remarked to Tony on our final bus on the way to our hostel, what I actually love about traveling is that if someone had sat me down before we left and outlined all of the things that would have gone wrong for us on Friday, I would have gone into a debilitating panic spiral. And yet, in the midst of it all, even when being annoyed or frustrated or confused, somehow it all felt manageable and every obstacle we encountered, we found a way to overcome. Maybe there were moments where the possibility flashed through my mind that we would never reach our hostel and spend the night on the streets of Bogotá but, to be honest, that felt far less likely than us figuring out a solution to our situation. It’s such an important life lesson, one I need to be better about remembering, because really: things ALWAYS work out—even when literally nothing goes according to plan and you have no way of predicting your path from point A to point B. Even with all the travel mishaps and the knowledge that there are bound to be at least a few more along the way, we’re traveling once more and we couldn’t be happier. Being back on the road and back to writing on the blog… It truly is a return to form, and it feels so very good! P.S. We’re so excited to explore Colombia over the next two weeks and share our experiences with you; while our thoughts on Bogotá proper are better saved for another post, our first impression of the country is that for all the terrifying things we all hear on the news about Colombia and its crime, our experience with the locals has been that they are extremely friendly, helpful and lovely. Our first day traveling here may have come with some new surprises, but the generosity and kindness of strangers we have consistently experienced in our travels—regardless of where they take us—remains unchanged. Glad you guys ars back on the road, and I look forward to read Ing the scoop on Colombia. But I would also love to know more about your situation in Playa. . .how did you find a place to live, cost of living, etc. Duly noted, Cam. Maybe I will solicit questions from our readers and put together a post answering any and all of your questions about Playa Del Carmen. Apart from costs and how we found an apartment is there anything else specifically that you would like to hear about? Well written experience! Nothing like dropping into a new country and new language with not enough money in your pocket to get the adrenaline pumping! Not an ideal rule for the budget traveler, but I always carry around $200 usd emergency cash with me when traveling. In case atms don’t work (or close, like they do in Japan! ), there are always money changers around. You might not get a good rate but in a pinch it can be a lifesaver. So true, Charlie, and an excellent point about having an emergency cash stash. We actually do tend to tote around some US dollars–just in case–though we have never had to use them. Of course, I have no doubt that if we were to leave them at home that is when we would need them! Colombia was our favorite country during in South America. 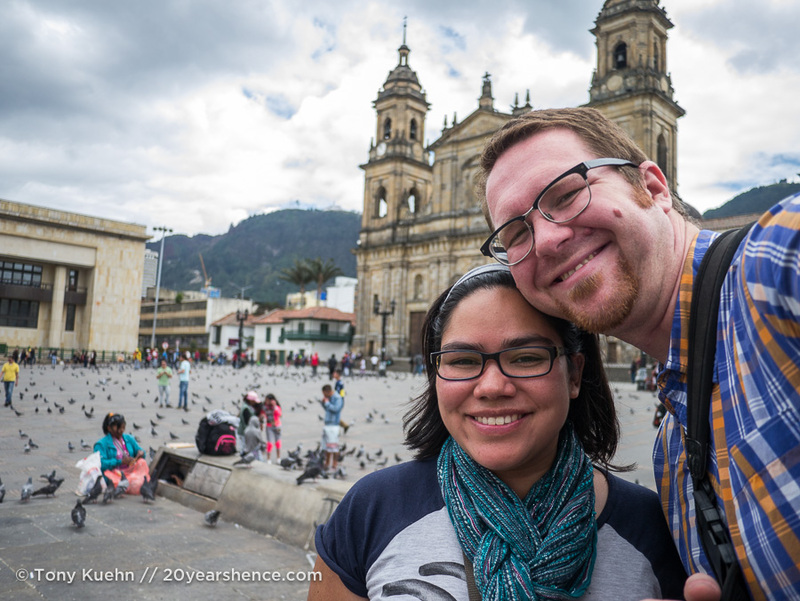 In fact, we ended up spending 2 out of our 5 months in South America in Colombia. We didn’t do Bogota but we never felt unsafe and found the people to be extremely friendly. I’m not sure what you have planned but Salento, Guatapé, and Cartagena are all wonderful. Enjoy! Thanks for taking the time to comment, Jaime, and I am so glad to hear that you enjoyed Colombia so much! We are definitely planning to check out Guatapé (if possible we hope to rent a motorbike!) and we will be ending our journey with 4 days in Cartagena. If you have any specific tips for those places we would love to hear them! Guatapé is a tiny little town that, to us at least, was all about relaxing. We arrived on a Sunday and the waterfront was full of vendors and michelada carts. Come Monday they were all gone and the town was quiet and it remained that way. It seems that people from Medellin go for the weekend and then during the week it’s a sleepy little place. Definitely climb the rock, the views are amazing. And take a lake tour of course. Cartagena is all about the food. Our favorite spots were La Cevichería, which is well known since Anthony Bourdain went there and bit more upscale, Laguna Azul which is far cheaper and also serves delicious, fresh ceviche, and Kiosco el Bony for fried fish. Bony’s is on the beach in Boca Grandé and has been there since the late 70’s I think. We had way too many whole fried fish and micheladas there. Other than that, sunset on the wall is awesome. Skip the expensive Cafe del Mar and just buy some beer from one of the many vendors and sit on the wall. Later in the evening hang out in Plaza Trinidad in Getsemani and watch the various performers. There was a lady out there selling drinks such as freshly made pina coladas, etc. They were great and quite a bargain (you don’t need many). 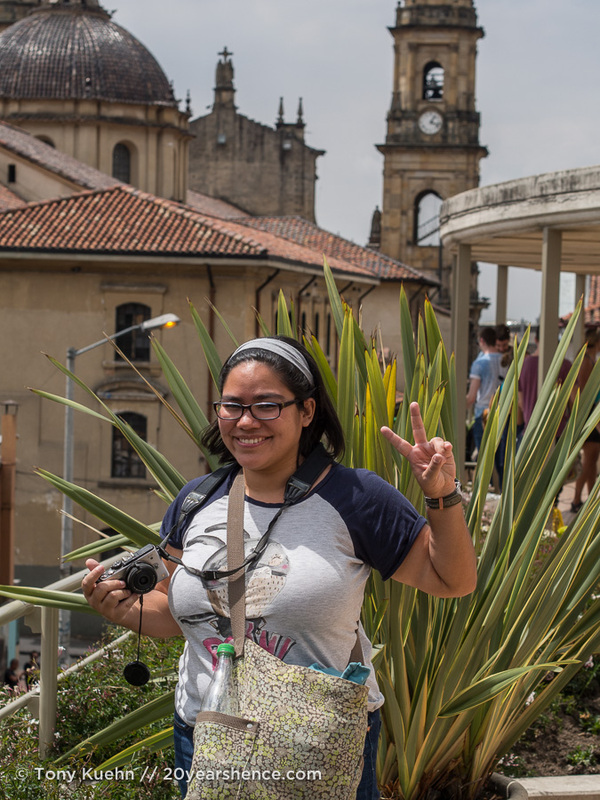 In Medellin I highly recommend doing the free walking tour offered by Real City Tours. It’s a great way to learn about the city and hear some commentary on state of affairs in Colombia from a local. Thank you so much, this is awesome!!! We mostly just plan to wander in Cartagena, well, that and eat so your food recommendations are much appreciated! 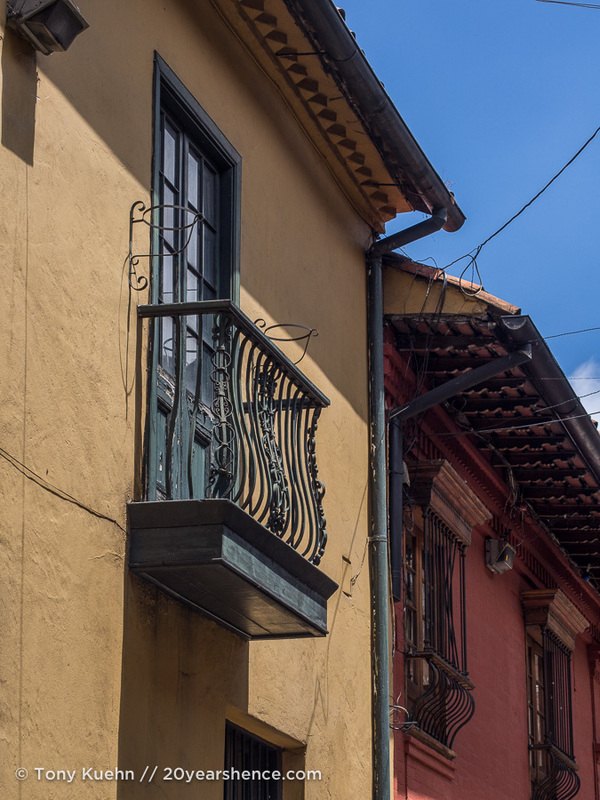 We took the Real City Tour yesterday in Medellín and it was wonderful; we are looking forward to revisiting some of the places we saw so we can take our time and really soak in the vibes. We were planning to do Guatape tomorrow but may sadly have to scrap it as we are both either battling a cold or dealing with allergies… Either way, we are feeling kind of drained… We will see how we feel in the morning as we would hate to miss Guatape or the rock! Hi Steph, I can feel your excitement on being back on the road and on hitting the pages of your blog again. Sorry to hear about your wobbly first day in Bogota. I’m sure everything will go better from here. Enjoy the rest of your trip in Colombia. Looking forward to hear more about your adventures. Our first day back on the road was bound to have a few bumps, so we don’t blame Bogata for all of our troubles. Although frustrating in the moment, we were able to keep relatively level heads throughout it all and it definitely made for a good story in retrospect. Though we have had a few more mishaps here and there, we are really enjoying Colombia… Already we know two weeks will not be enough! Glad to know you both are doing well. Enjoy your days in Columbia. Thanks, Rick! Great to hear from you and we hope all is well in Nashville. Goodness what a travel day! And ouch on that reciprocity fee. Minus the living in Mexico part, I could have written this post, right down to reverting back to my Type A over researcher self despite all the lessons from my travels that it is not required. I also let myself get unnecessarily freaked out about the dangers of Colombia from afar. It’s easy to fall out of the carefree travel mindset, especially when it is not your natural state. Yet another reason why I love to travel – I’m always glad in the end to push myself out of my comfort zone. I hope you enjoy Colombia because it really is a wonderful country! Always nice to hear from a kindred spirit, Amy! I was pretty nervous about Mexico before we arrived last year even though I had read so many positive for accounts from other travelers; it’s just kind of hard to ignore all of the negative press you read, I guess. Although we have not completely let down our guard here in Colombia, it is a really beautiful country and we are so glad that we decided to visit. We always find that places are never so scary once you are on the ground. The people we have met are lovely and it has been nice embracing our old traveling mindset once again. Whether I will be able to relax my Type A reign of terror once we return to Mexico remains to be seen, but I think this reminder that things work out–even when they buck my plans–was one I needed to revisit! No matter how seldom you write new posts for your blog, you still update it more often that I do mine. Can’t wait to read your impressions of Columbia (and more about Mexico). I’m thinking about spending a few months in Playa Del Carmen or in Medellin. In fact, I was in the midst of booking a ticket to Playa Del Carmen last month, when I noticed all the flights had layovers in Tokyo, so naturally, I decided to spend a few months there (or ‘here’, I guess). And now I’m noticing cheap flights to Europe and Australia from here, so who knows….. So good to hear from you, Daniel! Please do let us know if you decide to buy that plane ticket to Playa Del Carmen–we will be there until at least August and would be happy to show you the ropes. I guess we really do need to write some kind of post about the logistics of living in Playa Del Carmen! We will also be checking out Medellín so we will report back on that as well. Beautifully written post, Steph! I completely agree, I also feel like I am the best version of myself when traveling. I hope you have a wonderful time and your posts (no matter when they come out) always inspire me to be a better writer! Awwwww! Thank you for your sweet comment, Jenny! We are having a great time in Colombia thus far… I am really excited to share more stories of our time here! Perhaps my writer’s block is finally at an end! So funny, Justine: we will be visiting those same three places during our trip! Also how cool that you almost moved to Bogotá! We only had four days there, which really wasn’t enough… Just an excuse to return in the future, right? That said we definitely saw a lot of street art (and even took a free graffiti tour! ); given its preponderance I think it would actually be more difficult NOT to see any street art during a visit to Bogotá! As they say…the best laid plans…! Sounds like an adventure that you’ll likely remember fondly for a long time. My favorite one of these has to do with a totally offline airport terminal in Barcelona (no computers, no printers), missing a flight in Madrid and being in some weird airport hotel watching CSI all night. As you do. One of the most memorable/terrible days of my life! I guess this is why they say traveling is about the journey as much as the destination! At least we have enough experience now to recognize that when things go south that a) we will get through them, and b) when we do, we will have one heck of a story! I also feel like a common factor in both of our tales is they happened in Spanish-speaking countries… coincidence? Nice to see you back on the road again! We’ve just finished watching Narcos, so I’m fascinated with everything ‘Colombia’ at the moment! Looking forward to reading about your adventures, and seeing lots more food shots (which, of course, is the most important element of any trip!) Have fun amigos! We still haven’t seen Narcos–I think we didn’t want/need any more scary impressions of the country swirling around our brains before we arrived! Maybe when we’re back in Mexico & pining for Colombia, we’ll give it a whirl. I actually think you guys would love it here; it is a pretty great place and you would definitely get to practice your Spanish. Two weeks won’t be enough… We are already scheming and plotting out all the things we will have to do the next time we are here! Looking forward to seeing more of Columbia! Lately I really have been feeling torn between wanting comfort/stability and feeling restless for adventure and change. I think the former is my default position and what I slide into when I am not actively challenging myself…but the latter is actually the way I want to live my life. And, of course, life is all about achieving some sort of balance between the two! This time in Colombia has actually been really awesome, not just because the country is wonderful (if you get bored of Europe, Tony & I both think you would like it here… Just keep practicing your Spanish! ), but because it has jolted me out of my comfort zone and viscerally reminded me what our life could be like if we took a few more risks. It has given me a lot to think about and I wouldn’t be surprised if it prompts us to shuffle things up in the future. omg… love seeing a new post from you and I feel like I know exactly what you mean on several counts. We, of course, are just trying to get some things going so we WILL have work to do to earn income on the road.. but the feeling of complacency is there. Partly due to having the dogs and a camper.. once we set up camp we are sort of “there” and so days of random exploring seem challenging. And travel days.. so sorry your trip to Columbia wasn’t seamless but I have to say.. no matter what, travel days are just never our favorite as so many things that should be easy somehow aren’t. Glad you got to head to Columbia and looking forward to the upcoming posts. The adventure has begun. And what an adventure ay! But you guys will be fine. Don’t worry about a thing. When you’re away it takes a bit of time to get your feet wet but travel is in your soul, it’ll all come back. I’m married and have a tween and do you think that travel has been knocked out of me? Not a chance! I breast-fed our son for two years and used to bungle him in the car or on the train! Now he’s as bad as I am and last year we took a bus-coach on a 26 hour journey from Tallinn (Estonia) to Berlin (Germany.) My husband didn’t protest and just flew back, while we continued on through 3 more countries in the Baltics and to Finland! Victoria@ The British Berliner recently posted..12 fantastic festival films you should really watch – Lights! Camera! Action!!! It’s surprising how easy it is to loose all your hard-learned travel skills, isn’t it?! I felt that too after spending quite a bit of time in the luxury of my mum’s spare bedroom over Christmas and January. I’m glad you’re enjoying some travel again though as well as having a home base; I think you’ve achieved a great balance, which is what Andrew and I are still searching for. Ummmm… You’re not going to the beach EVERY DAY!?!? What is WRONG with you people!?!? Travel is a funny thing, I can relate to your musings about not going anywhere at times. Then fee to get into Columbia for Canadians must have been a teeth-gnashing moment! I had that on the way home from Europe with the kids last year as we had a 6 hour stop in Den Pasar and I was chuffed that as we are dual citizens with Australia and the UK, I could avoid a visa charge that Australians pay as we would use the UK passports, only to find it was not classified as a tourist visa if only stopping for 6 hours! Darn it. So, a meal on the beach by candle light with waves crashing in to end our 10-month travels… cost and extra $145 U.S. all up. BUT, it was such a special meal with my daughters and we laughed anyway. I am inspired even more to visit Columbia, thanks for the article!